It is now a contradictory question on spring assisted opening knives because most of the people do not prefer to have them. There are many reasons for it and one of them is that they are not safe to use. Since the knife opens with a jerk so many people have experienced wounds mostly when carrying (for example in pants). But still assisted opening knives are good to own if you have experience in carrying. Since it is a folding blade hence it is compact and therefore easy to carry and they look cool. If you are a knife lover then you must have one of these kinds, I am sure it will help you out in camping or other outdoor activities. · Dragon Fang Knife: - May be the dragon fang knife gives looks of a fantasy but in reality it is a good knife. This liner lock knife features a fast assisted opening mechanism easily accessed with the thumb or index finger “trigger”. · Kershaw Clash 1605CKT: -Though this knife is low in price but it serves its all purpose. A firm push is needed to open the knife and the handle is carefully made to give you comfort while gripping the handle firmly. The knife has a liner lock that secures the blade and when retracting the flipper. · Dragon Claw Knife: - This M Tech knife is a stunner on looks alone...this awesome liner lock folder makes a real statement. The quick assisted opening brings the wicked blade out in a flash. · Meyerco Maxx-Q G-10 Handle: - This one is good for camping purpose. The style of the blade is unique and attractive. The recurve on the mid section of the blade allows quick cutting facility with less applied force. 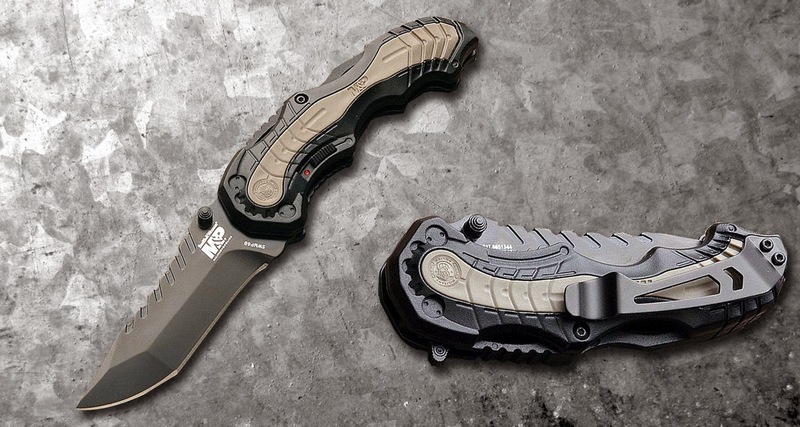 · SOG Trident Tanto TF-7: - This one is perfect for emergency purposes. This knife is with you in every worst situation you get into. Without the need to expose the full blade and risk further injury, just slip that strap into the groove in the handle and slit your way free from harm. The tough steel blade and light handle makes it all rounder in the emergency period. Both automatic and spring assisted knives involve spring or torsion bar to open the blade however automatic knives are illegal according to the federal law. 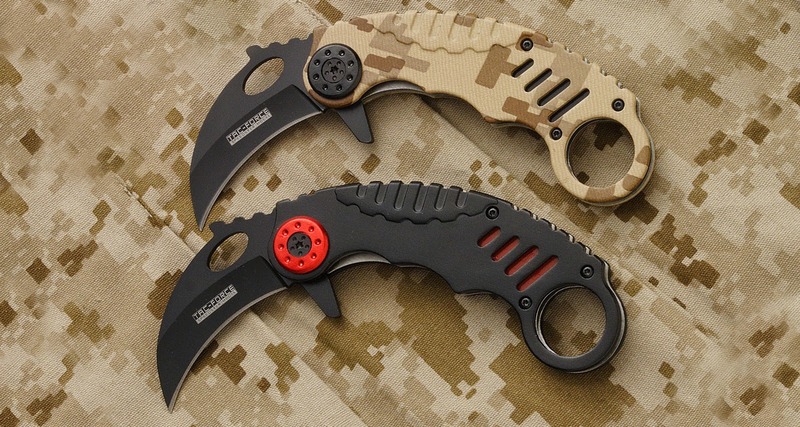 The primary difference between them is spring assisted knives need user to manually open the blade but automatic knives uses a push button to initiate the spring. Buying knives online /offline of this category is strictly prohibited. If you're searching for a great tool, try an assisted opening knife but stay legal and safe! These spring assisted knives are cost operative knives that also happen to be assisted opening knives. These knives promptly elevate your status. Making a buying of any one of our tremendously cost effective, spring assisted knives will be the finest decision you make in your whole lifetime, while not making a purchase of whichever one of our assisted opening knives will have drastic penalties security wise.